"WE BELIEVE MIRACLES HAPPEN WHEN TIME VANISHES AND THE EXPERIENCE KICKS IN…"
Porto Bello Private Residence Club is a hassle free vacation home designed as a fractional ownership Condominium real estate property, in which our members are able to purchase a vacation home for the time that they will really use it each year. You may purchase monthly allotments for a fraction of the price and the fraction of the time that you will really use. It is a hassle free vacation home because the maintenance fee that is paid only for the month(s) you decide to own, covers all the maintenance while you are here and also while you are not. This allows you to completely take your mind off of maintenance chores and dedicate yourself to the enjoyment of your quality time. Since our Fractional Ownership is deeded, it may be rented, traded, inherited or even sold. You are the owner and can do with your property as you please. Porto Bello Private Residence Club provides a Real Community Condominium lifestyle with the privacy of your home away from home, it is a Private Residence Club not a hotel. 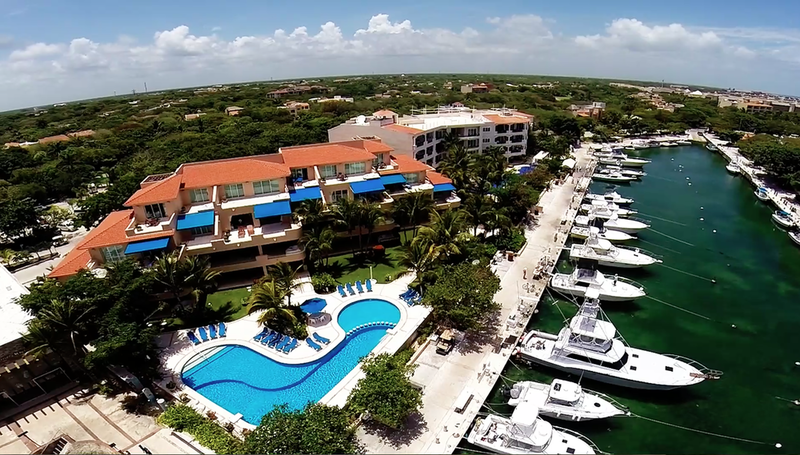 We are located inside an unmatched location in the heart of the Riviera Maya, the wonderful and safe Beach Marina & Golf Resort called Puerto Aventuras.